What happens if you experience a catastrophic accident or illness that leaves you unconscious or unable to communicate? How do you make sure your wishes about your medical care are known? Having an advance directive is the answer. By planning in advance, you can get the medical care you desire while relieving loved ones of making major medical decisions during moments of grief or crisis. 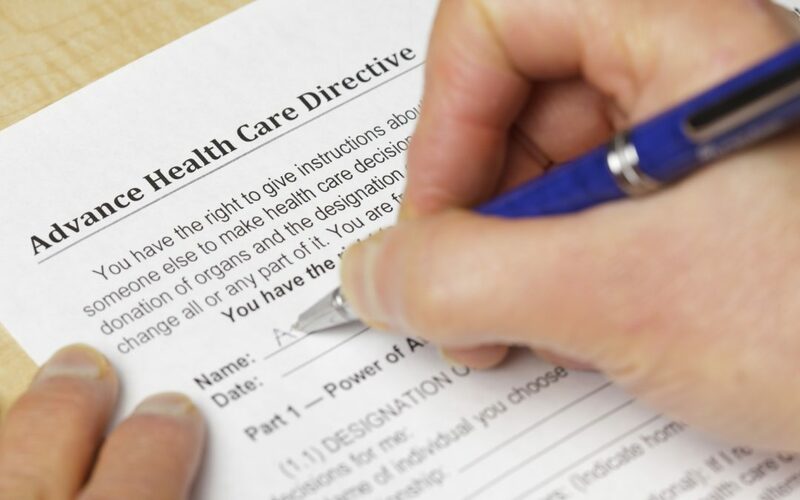 Advance directives help reduce confusion and disagreements about medical care. Living wills are legal documents. They state your wishes regarding the care you want to receive if you are incapacitated. When you create a living will, consider the importance you place on being self-sufficient and independent. You’ll need to decide what medical interventions are acceptable and whether you want your life extended if there is no hope of recovery. A medical power of attorney is also known as a health care proxy. This option allows you to name another person, such as your spouse or adult child, to make medical decisions for you if you are unable to do so. A medical power of attorney is not the same as a power of attorney that allows another person to handle your financial or legal affairs. • States regulate advance directives differently. Click on following End-of-Life Planning – A Guide for Wisconsin Residents to view specific end-of-life information as it is outlined for residents of the State of Wisconsin. • Advance directives can be modified, updated, and canceled in accordance with state law. • Individuals with residences in multiple states may wish to have advance directives in each state, but you will want to research this scenario thoroughly. Will Other States Accept My Living Will & Health Care Power of Attorney? • Ensure your health care proxy has updated copies of your advance directive. • Give your advance directive to your doctor and other relevant medical care providers. Advance directives are an important part of health care. No one can predict when unexpected medical situations will happen. Ad advance directive helps loved ones, and medical personnel make important decisions during a crisis. Having an advance directive in place ensures that your wishes regarding your health care are carried out, even when you’re unable to make your wishes known.